The Baseball Sales team will review all applications and notify your team of its status as soon as possible. Upon acceptance into the tournament, your team will receive an invoice for the entry fee, which must be paid in full to guarantee your spot. The entry fee can be refunded until July 31, 2019 if we are notified in writing. If you have questions about the application process, please call 407-938-3802 for assistance. You may also contact Disney Sports Travel at 407-939-7810, or email wdw.disney.sports.travel@disneysports.com for more information. A Disney Sports Travel Coordinator will be able to assist you with ticket upgrades, additional room nights, vehicle rentals, and airfare options. Best of all, specially priced packages are also available for all members of your travel party. *All package prices listed are per person based on a 4-person occupancy standard room. The number of packages available at this rate are limited and advanced reservations are required. Minimum night stay required. No more than 4-persons per room. Additional fees may apply if more than 2 adults per room. Tickets are valid only on the specific dates of the event and for a limited period of time before and/or after the event. Each day this Ticket is used at any Theme Park constitutes one full day of use. Some activities/events may be separately priced. Age restrictions may apply for access to certain facilities. Numbers of visits depends on number of days of Magic Your Way Tickets purchased. Ticket types and entitlements subject to change without notice. Tickets are non-transferable and non-refundable. Parking is not included unless staying at Hotels of the WALT DISNEY WORLD® Resort. Sports specially-priced packages are for participants and their spectators only. No other discounts apply. Offer is nontransferable. Take advantage of on-site transportation with two incredible options, Disney's Magical Express and event transportation! 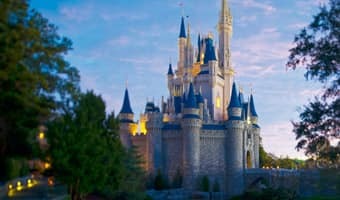 Disney's Magical Express offers complimentary shuttle service as well as luggage delivery for your team to and from Orlando International Airport and your Walt Disney World® owned and operated resort*. Transportation to and from ESPN Wide World of Sports is provided at Disney's Pop Century Resort or Disney's Coronado Springs Resort. There are complementary Disney buses available to transport players, coaches and spectators to and from Disney Resorts and between Disney theme parks. The ESPN Wide World of Sports Grill is a quick-service restaurant located at the entrance to the sports complex. Operating hours may vary by season. 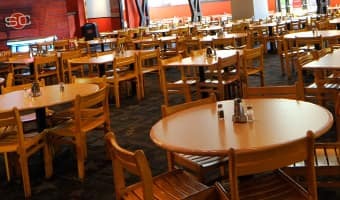 Menu items include burgers, sandwiches, and salads as well as an assortment of desserts and beverages. The restaurant also has a full bar which is open during restaurant operating hours. Teams have the option to place catering orders in advance of their trip for quick, easy and well balanced fresh prepared meals, bulk beverages, and/or snacks. The convenience of having your meals planned in advance will save on time and stress. . Interesting in setting up a special dining experience for you and your team? Please call 407-939-1389 and a catering & convention service manager will assist you in arranging a special event that will meet your team's needs.. The schedule will be released approximately 10 days prior to competition. Access schedules here once they are released. Schedule is subject to change. 8/30/2019 On-site Check-in 1:00 p.m. - 5:00 p.m.
8/31/2019 Pool Play Begins 8:00 a.m. - 4:00 p.m.
9/1/2019 Pool Play / Bracket Play 8:00 a.m. - 4:00 p.m.
9/2/2019 Semi-Finals/Finals 8:00 a.m. - 2:00 p.m.
Register for Disney Labor Day Baseball Classic and submit registration fee payment once invoiced. Make final payment to Disney Sports Travel30 days prior to arrival. Upload completed roster, athlete and coach waivers, and copies of proof of age into GotSport prior to August 9, 2018. Attend On-Site Check-In. A team representative must attend on-site check-in to verify team roster and pick up event credentials. 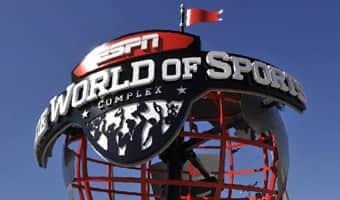 All spectators are required to purchase admission into ESPN Wide World of Sports Complex for either an individual daily admission or a length-of-event (LOE) pass that is valid for all days of the team's stay. LOE and daily admission tickets are non-refundable/non-exchangeable, regardless of number of days your team competes. Spectators can add a Length of Event Ticket (LOE) ticket to their packages by calling Disney Sports Travel at 407-939-7810. * All ticket sales are non-refundable and non-exchangeable. Tickets are subject to availability and capacity limits. Prices subject to change without notice. To make better use of your valuable time during Disney Labor Day Baseball Classic, we are requesting all teams participate in advance on-line check-in by submitting rosters, waivers and proof of age into GotSport by August 9, 2019. Please note that although you will be uploading required documents in advance, you will still need to check your team in at ESPN Wide World of Sports in order to confirm your team's information and pick up the credentials. On-site check-in will take place Friday, August 30, 2019 from 1:00p.m. to 5:00p.m. at Champion Stadium. Anyone appearing on the team roster is required to sign an event waiver. This includes athletes, coaches, batboy/batgirl, team managers, and scorekeepers. Waivers may be downloaded at the links below, and all waivers must be uploaded to GotSport by August 9th. To maintain the integrity of the event, all participating players are required to submit proof of age documents confirming their age and eligibility. Copies of proof of age documents must be uploaded into GotSport along with the waivers by August 9th. Failure to meet any of these requirements may render a player ineligible to participate in the tournament. Any team found to be using an ineligible player would forfeit all Disney Baseball Tournament games in which the ineligible player has participated. Official Disney Baseball Roster must be filled out online with players name and uniform number and date of birth. Please read the Tournament Rules to ensure your team's compliance. Submit team roster in your team's GotSport account prior to August 9th. A maximum of 20 players and 4 non-players (ie. coaches, scorekeeper, manager) will be allowed per team. A maximum of 2 bat boys/girls will be allowed per team and are required to be listed on team roster as well as have a waiver completed. All participants are required to purchase a travel package and be listed on the rooming list with Sports Travel. Registering as a Guest Player does not guarantee a spot in Disney Labor Day Baseball Classic. Players ages 6-16 may participate, based on age as of April 30, 2019. FL Resident Pricing Available, please call 407-938-3802 for more info.